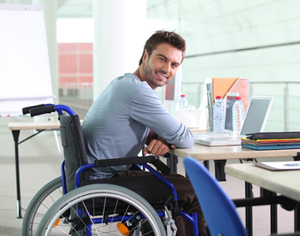 Adults with disabilities make up one of the nation’s largest minority groups. In major cities it is more than apparent that there is a growing need for Disabled Adult Assisted Living Care. State funded agencies are frequently full to capacity and are often over-burdened and understaffed. The writing on the wall is unfortunately clear in that one truly receives the type of care one pays for. The horror stories in this industry are endless. The truth is that while few assisted living agencies and caregivers will care as much as you need them to, American Focus Care continues to set a benchmark of excellence and has since 2009. Of the nearly 70 million families in the United States, over 20 million care for at least one family member with a disability. While the statistic is somewhat alarming, American focus care has answered the call. For the last 5 years American Focus Care has distanced itself in the marketplace by providing exceptional quality home care for adults with disabilities at a price point most families can manage. We offer assisted living caregiver packages that include services you would normally pay extra for elsewhere without compromising the quality of home care that individuals will receive. We go the extra mile and it shows. Contact us to speak with an assisted living care specialist today to find out why we are different and what makes us your best choice for all of your adult disability needs. You’ll be glad you made the call!